A stunning modern touch. Light antiquing of the tiled-effect mirrors in the mirror surround frame is the perfect touch we needed to blend all metal neutrals in the room. Just the finishing touch we've been looking to find With the quality we needed to complete the living room remodel. Seriously couldn't be more pleased. 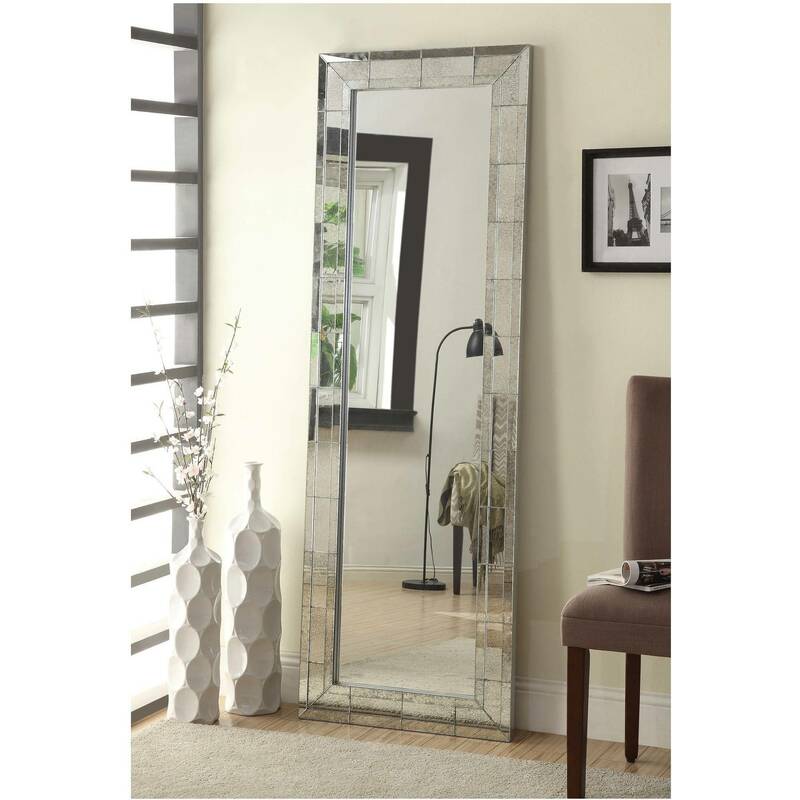 Home territory searches the web to find the best prices and availability on Mirrors and related products foir your home like Coaster Company Floor Mirror with Antigue Silver Beveled Edge. For this page, related items include products we find that match the following keywords: "Mirror" at our vendor partner Walmart - Click More Info / Buy Now to check for price rollbacks!. Coaster Company Floor Mirror with Antigue Silver Beveled Edge is one of 68 Mirrors and related products available for sale through HomeTerritory.com, If you have any questions on this product, please give us a call at 734-971-1210 during the hours of 9am - 5pm EST for assistance. Thank you for shopping at Home Territory, the home furnishings superstore!